Distributed by Vital (2) in UK / Eurock in Eire. Other than Pat Metheny's Sueno Con Mexico from 1979 this is all contemporary down tempo Electronica. Pretty much in keeping with the previous two releases, highlights are Nightmare on Wax's Night's Interlude and Eighth Wave's Panama Bazaar although my downloaded version is missing Walking on Air. There's not much consistency to the mood of this album; after Alex Neri's Asia and Moodswing's Redemption Song you could find yourself drifting into the arms of Morphious but you are soon rudely awakened by Dust of Life. 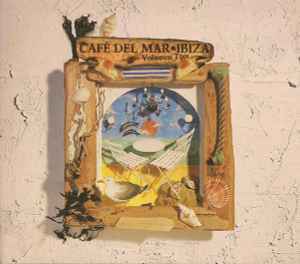 The album finishes with Beat Foundation's My Freedom which along with Moodswing's Redemption Song is the low light of the album for me, reminds me of bad lift music which is the fait of a lot of the music later in the Cafe Del Mar series.